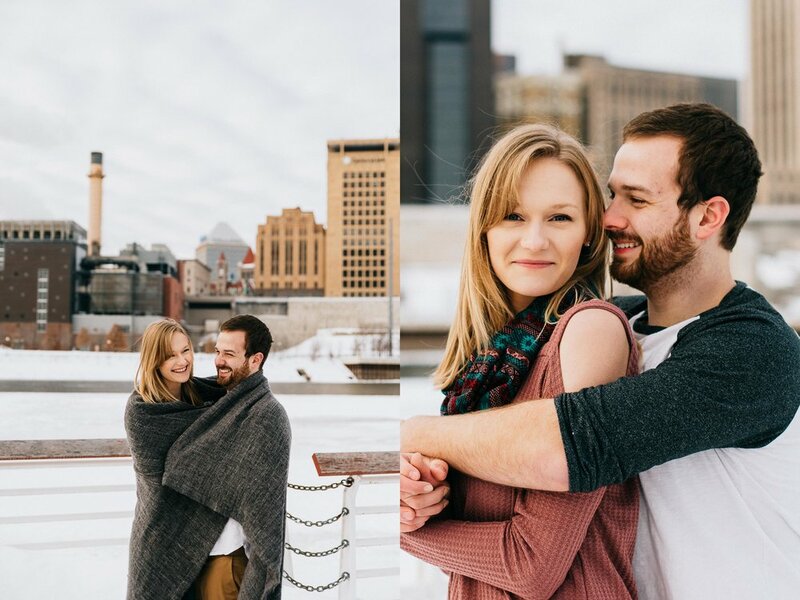 February 2019 will forever be in the memories of many Minnesotans minds, but for Mary and Cody, it is hallmarked with their frigid yet fun engagement portraits. 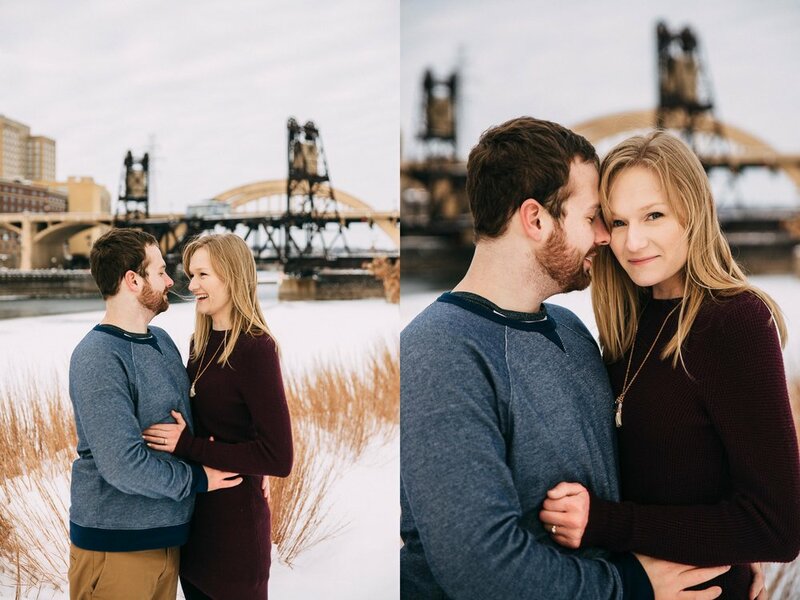 We enjoyed our time with the recently engaged couple in St. Paul, not far from where they first met. The happy couple’s beginning goes back to 2013 at orientation at McNally Smith College of Music. Shortly after their first encounter, they began dating - and the rest is history. These two are brave for fighting the cold! 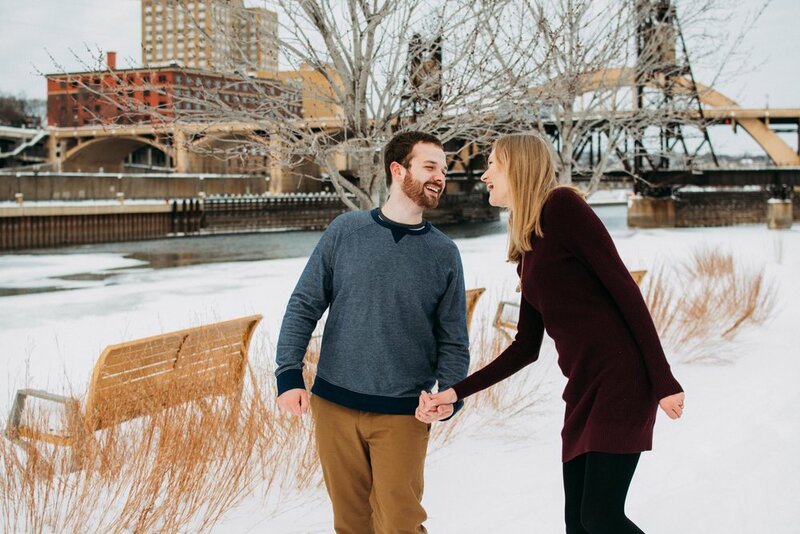 It was a chilly 15 degrees outside as we adventured in the snow drifts around Raspberry Island. The cold made it easy for these two to cuddle up to try to stay warm! 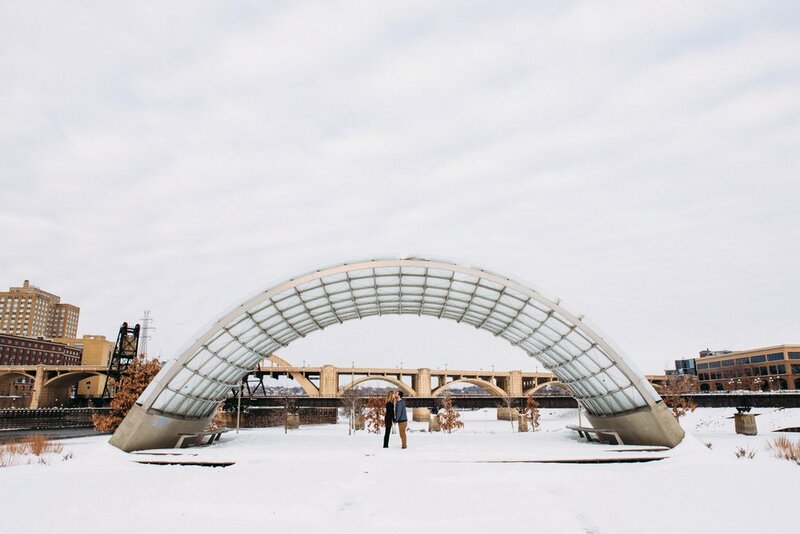 Raspberry Island has such a lovely view of the St. Paul skyline! We struggled to walk around in the few feet of snow that covered the paths, but still found plenty of ways to have some fun. We’re looking forward to visiting the island when the grass and warmer temperatures return.